HONORABLE MENTION: Babylon 4-5, Beekmantown 5-5, Ben Cardozo-PSAL 7-2, Chenango Valley 6-4, Geneva 5-3, Hackley-AIS 6-2, Hornell 6-3, Horace Mann-AIS 6-2, Mexico 5-3, Owego Free 6-3, Penn Yan 5-4, Putnam Valley 6-3, Riverdale Country Day-AIS 6-3, Rye Country Day-AIS 4-3, Skaneateles 5-3, Spackenkill 6-3, Syracuse Westhill 5-3, Valhalla 8-1. HONORABLE MENTION: Corinth 5-4, East Rockaway 5-4, Elba/Byron Bergen 5-3, Herkimer 5-3, Jordan-Elbridge 5-3, LeRoy 5-4. HONORABLE MENTION: Batavia Notre Dame 5-3, Caledonia-Mumford 5-3, Cuba-Rushford 6-2, Elmira Notre Dame 5-3, Frewsburg 5-4, Onondaga 6-3, Randolph 5-3, Roscoe 6-3. 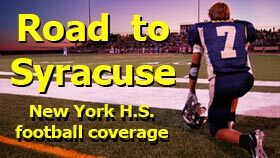 WINNING STREAKS (ALL CLASSES, 8 OR MORE WINS): Maine-Endwell 61, Shoreham-Wading River 21, Eagle Academy II-PSAL 19, Liberty 11, Elmira 10, Greenwich 10, Schuylerville 10, Saratoga Springs 10, Cheektowaga 10, South Shore-PSAL 10, Batavia 10, Malone 10, Cazenovia 10, New Rochelle 10, Bath 10, Frederick Douglass-PSAL 10, Grand Street-PSAL 10, McKee/Staten Island Tech-PSAL 10, Tottenville-PSAL 10, Rochester Aquinas 10, Farmingdale 9, Archbishop Stepinac-CHSFL 9, Utica Notre Dame 9, Maple Grove-Chautauqua Lake 9, Lindenhurst 9, Newfield-L.I. 9, Oceanside 9, Sayville 9, Garden City 9, Plainedge 9, Locust Valley 9, Marlboro 9, Whitehall 9, Christ the King-CHSFL 9, Whitesboro 9, Chenango Forks 8, Cornwall 8, Sandy Creek 8. LOSING STREAKS (ALL CLASSES, 12 OR MORE LOSSES): Plattsburgh 29, Eldred 15, Fallsburg 13,, Marcus Whitman 13, Oneonta 13. 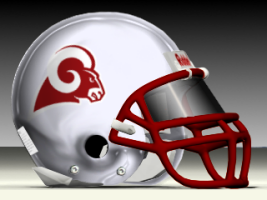 REMAINING UNBEATENS: There are 33 left (12 in Class AA, 7 in Class A, 9 in Class B, 4 in Class C, 1 in Class D).